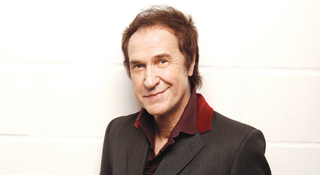 News of Ray Davies being named Meltdown Festival curator has flown across the web with coverage on the likes of The Guardian, Gigwise, Clash, Fact Magazine and more. News of his US tour cancellation reached just as far. 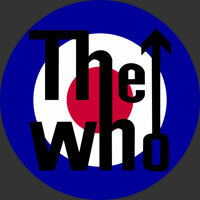 Reviews of The Who keep coming in with this month’s Mojo covering it over two pages and giving it a five star rating. Q followed suit with a four star review and a place in this month’s Q50 top tracks. fun. visited the BBC this week for a chat and acoustic performance on The 5.19 Show. Check out the episode they featured on here. 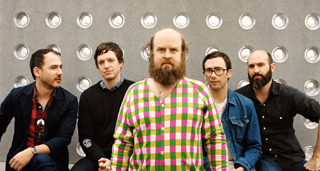 Les Savy Fav rock London! The amazing Les Savy Fav played the Electric Ballroom this week to blow the minds of many and have a wonderful review in the Independent today and a 2 page On The Road feature in this weeks NME. 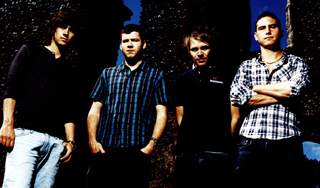 Enter Shikari get K! cover! To cap off what has been a massive year for the Enter Shikari boys, they are the cover stars of this week’s Kerrang! Here’s to them and another cracking year in 2011! Both Middle Class Rut and fun. have free download tracks featured in this week’s ‘Top 10 Downloads’ Daily Download blog on NME.com. Check it out and get your freebies here. Hot off the heels of their tour supporting Paramore in arenas, fun. have released new single ‘Walking The Dog’ this week and in order to keep things interesting they’ve taken over the HIP HOP section of I Like Music this week. Not what you might expect but very awesome indeed. Former Ghosts‘ excellent second album ‘New Love’ has been reviewed in the latest issue of Dazed and Confused. “We Love it,” declares the magazine! Cradle of Filth have a 3 page feature in this month’s issue of Metal Hammer! Check it out for a glimpse of Dani Filth tucking into some poor chap’s brain. This week’s Kerrang features a great introducing feature with rising pop rockers What Now. “For fans of Jimmy Eat World and Blink 182,” says the magazine.